Spotzer is an Amsterdam-based provider of online marketing solutions with offices in Denver, London and Melbourne. Since 2007, the company has partnered with more than 30 resellers and 120,000 advertisers in 16 global markets offering their expertise in paid search advertising, SEO, social media campaigns, e-commerce marketing etc. The company provides content, technology, fulfilment services, white label telesales, customer billing and a series of complementary services and products that help small and middle business find the precise support they need. 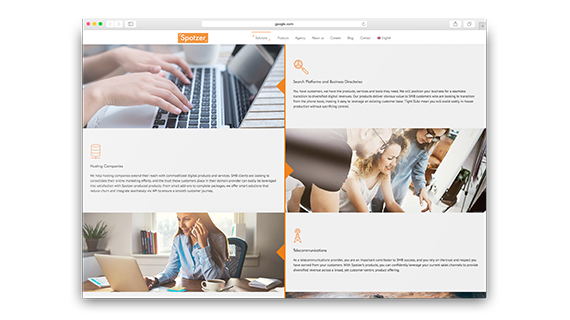 Spotzer engaged N-iX to enhance and modernize their digital marketing solution in order to deliver more value and seamless service to their customers. The cooperation started with project requirements elicitation and gathering a strong team of engineers and software testers. Thus the dedicated development team for Spotzer was set up in Kyiv at the beginning of 2017. Since the client’s customer base is growing, N-iX professionals got the task to scale the platform employing a diverse and innovative tech stack. The developers involved in the project are working with such technologies as REST-based Web-services, Microsoft SQL Server, .Net, AngularJS, AWS, SalesForce etc. Our specialists leverage proven methodologies, tools, and best coding practices including Agile, continuous integration, continuous delivery, and more to ensure smooth project execution. 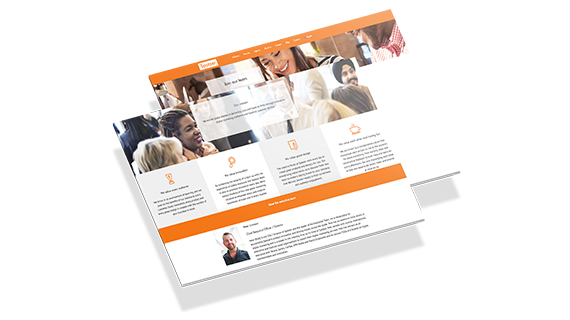 Spotzer is an Amsterdam-based provider of integrated digital marketing solutions. Spotzer offers online marketing solutions to small and medium businesses that want to go digital while leveraging their existing customer base. The company delivers websites, paid search, SEO, video, premium content and other marketing products to help their clients boost sales and gain the competitive edge. Spotzer has cooperated with over 450,000 SMBs around the globe optimising their online offering in order to increase traffic, leads, revenue, and online visibility for their business. Spotzer Agency provides consultancy, effective e-commerce solutions, engaging content marketing, and comprehensive SEM campaign management. Some of the Spotzer’s partners include Telstra (Australia’s largest telecommunications and media company), Telefónica UK Limited, Yell, 1&1 Internet, ReachLocal, Yellow Pages Group etc.